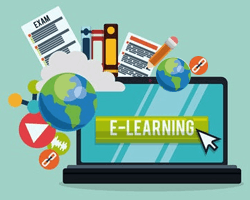 E-Learning, a new mode of education evolved in the new age of the internet, where an education aspirant can take education with the help of internet. But what “E” stands for here, well “E” here stands for Electronic, in simpler words E-Learning can be defined as obtaining education and knowledge through electronic sources, medium, and channels. As we all know about distance mode of education or you can say correspondence mode, where students don’t need to visit the Institute on daily basis but still they can give their exam either by their own preparations or by taking weekend classes. 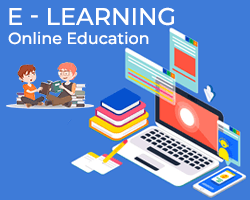 With latest electronic gadgets, android and ios devices, one can have all the information they want at their tip, hence in my opinion E-Learning is the extended Digitized form of Distance Education, which is beneficial not in a single way but in many ways. Some of us may ask, how can it be fruitful when one is not taking proper classes or having face to face interaction with the teachers, lecturer, and professors? Some can also say it will only give you some notes or details of some topics which you can use for your study enhancements. There are and there can be different opinions of the people on this topic of E-learning, but I want to say whatever be the opinion of the public, E-Learning is nowadays one of the most popular mode of education and its popularity is growing day by day and will rise with the increase in the use of Electronic devices, gadgets, etc. why don’t we take Admission in a reputed institute from where we can get a good level of knowledge, a big Degree and a good placement in a multinational firm. 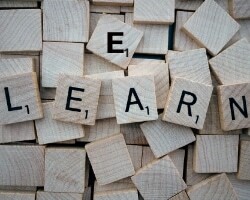 We are going to discuss all these in this blog and share some pieces of information with you. As per an article published in “Forbes” E-learning is going to climb $325 by 2025, this report itself describing how this industry is growing and will grow more and more in the coming future. 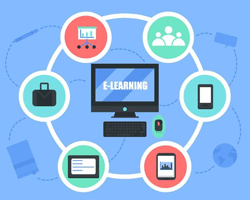 How can E-Learning be fruitful ? 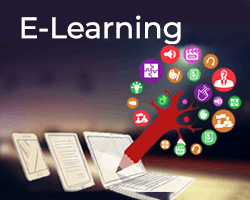 E-learning is an alternate for learners where they can get quality stuff for their education and not only notes but can also do self-assessments by giving an online test, mock-exams, etc. Now almost every university, institutes are providing E-learning and giving options to students and learners to opt either regular mode or E-mode that is E-learning where they can get the same amount of knowledge which a regular student will get. Some may still think that there will be a gap between the knowledge level of a regular class taker and an e-learner, but it is not right at all, every institute, university, provides almost same curriculum in their online or E-Learning program as it is in regular mode so that there should not be a conflict regarding the study modules provided to learners. Not only that but with regular updates and changes in tech and syllabus,one will also get the notifications regarding all the updates, this is also an answer to those who say that you are going to read only outdated stuff uploaded years ago. No, not at all, all these stuff is for self-assessment of a student or e-learner, there are various other option, E-learning provides online classes, live lectures, virtual classrooms and not only that but an online face to face Q/A session with live experts, wow that’s really great. Even if you missed all these there is another way also, yes you can send your query that will directly land in their mailbox or you can also ask some questions through chats, messengers available on the online portals. with the inclusion of online library in E-learning. E-learning has made a library in every student’s pockets, one can easily access a book for which they have to wait in long ques of a physical library and then roaming here and there in miles long book-racks. Students can also download the PDF format which can also be viewed in offline mode, isn’t a good thing learner? It is an aid and helps those who can’t be able to get a regular education and for many other reasons cant go for regular classes, coming to the point, Many online courses offered by universities, institutes, etc gave same recognition, award, and value which a regular student will get. Not only this, but they also offer placements to the scholar students in reputed companies. – One who can’t take regular classes ie, Corporate professionals, housewives etc. -A citizen of a nation willing to take education from a university, institute located in another country. -A person who wants part-time education but still don’t want classes on weekends(can take online lectures). -Someone who wants add-ons in their curriculum vitae by adding post qualifications using e-learning programs. -A person residing in a country affected by civil war or violence and unable to take regular education due to geographical disturbance. there can be so many reasons which support this line that “E-learning is very very important nowadays”. It is a medium which gives you a virtual world of Education with all the facilities and benefits one can get through regular education. It depends upon need, requirements, and conditions which decide that did someone go with an online mode or regular, but in my opinion, both are great and best. But E-learning has opened ways for those who for some reason were not able to make a regular presence in academic centers..
Hope you have liked my words and opinions, I want to hear from you in comment section. Thanks for reading.